Home Business ethics Why is there racism in business? Why is there racism in business? A recent trip to the Southern United States made me aware of a sad truth: racism is live and well, decades after racial segregation officially ended, albeit in a more subtle or hidden form. Friends who had moved to the South from elsewhere told me that in their small town, blacks and whites didn’t mix socially. And when my friends (who are white) were looking for a contractor to do some renovations, they got a recommendation with an added whisper: “If you don’t mind he’s black.” (They did hire him and were pleased with their renovation). My friends had also heard various other subtly racist remarks around town. Racism does not exist only in the South or elsewhere United States; it is everywhere, including Canada, where it is targeted at aboriginal Canadians in particular. However, my recent exposure to the issue in the South made me think about it and what it implies to business. Why would employers consider a prospective employee’s race, or why would customers patronize businesses based on the proprietors’ or staff’s skin color? Old prejudices are deep-seated because they are based on philosophical ideas, whether explicitly understood or not. Prejudices are often passed on from one generation to the next and accepted, because the new generation has not been exposed to alternative philosophical ideas. People have not been taught to think independently, to question the received wisdom. The blame for this rests squarely on the education system (which itself depends on philosophical ideas; typically, bad ones). Racism is a form of collectivism, a widely accepted philosophical idea, according to which the group is the unit of value in social issues. Per collectivism, individuals as individuals—volitional human beings who can make choices about their own character and conduct—don’t matter. Collectivists believe that individuals have value and identity only as members of a group, whether a tribe, a member of a political movement, a race. Therefore, collectivists hold, we should judge people as members of a group, not as individual human beings based on their own character or conduct. Collectivism and racism appeal to people who believe that their self-value and the value of others derives from their membership of a particular group and from their own choices and actions. A white supremacist (or a member of any other race) may be a loser but considers himself superior to others and claims entitlements based on his race. The anti-thesis of collectivism is individualism, according to which the individual is the unit of value in social issues. The individual, by choosing his conduct and character, must earn his self-esteem through his own actions. He cannot achieve it by being a member of a group; his race is completely irrelevant, as it cannot determine his choices and actions. Collectivism and racism are destructive philosophical ideas (for evidence, consider what is going on in Venezuela, or at American college campuses today). They are also a recipe for disaster in business. Why is racism bad for business? 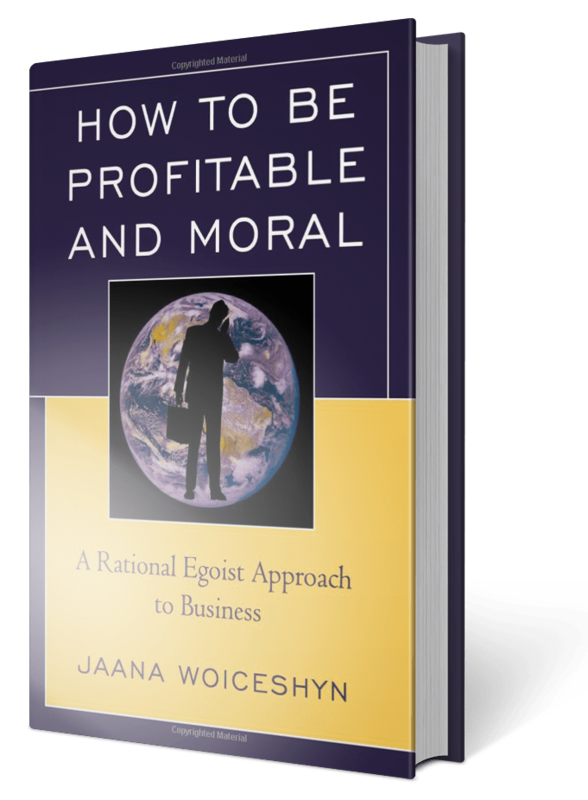 While a business owner should be free to choose as racist and bigoted as he wants, the morality of rational egoism condemns racism as immoral. Racism is immoral, because it is not in the business owner’s self-interest: it is irrational, unjust, and unproductive. It undermines the flourishing of everyone, including that of the business owner. A racist business owner would accept financing from only of his “own kind,” therefore severely limiting the sources of capital and the growth opportunities of his business. The racist would only hire employees of his own race, therefore excluding a large talent pool (in most countries) and not being able to hire the best people possible (who would go and work for his competitors). Also, the racist would not accept other suppliers from “wrong” races and would therefore miss the most competitive prices. And of course, the racist would not sell his products and services to anyone not of the “right” race, thus severely limiting his market and having to sell at lower prices than competitors with a larger demand. All of the above would make the racist business owner uncompetitive and therefore unprofitable, which would lead to a bankruptcy of his business, sooner or later. Any racism in business persists because bad philosophical ideas, perpetuated by the poor education system and government intervention (through racial quotas, affirmative action legislation, and the like). If we want to eradicate racism in business and elsewhere, we need free markets, including in education. Please spread the word! Next articleWhy are businesses not gearing up for the post-carbon economy? Very good topic and article, thanks. The antidote is of course individual freedom protected by a justice system. Besides the school system, whose focus on collectivist parenting does not prevent bullying such as such as “kick a ginger day” because it does not teach respect for all individuals, there’s parenting – the strongest influence in crucial years of learning. Dysfunctional tribal reserves have a serious problem of abuse, and bad economics – that’s why so many females _and_ males hitchhike on Highway 16 west of Prince George and are exploited. The dysfunctional reserves claim to teach their culture, but don’t actually. Some reserves are good, some outstanding like the Okanagan group whose Chief told a tribe on Vancouver Island something like “Indians always worked for our food.” in telling them to operate more businesses. (But it takes clear thinking and integrity to do that.) I tell the story of the lady who started several restaurants in Vancouver B.C. – she said at age 9 her job was to carry stones to build the family’s clam garden, she hated the job but her mother gave her no choice. Thanks, Keith, for your comment and observations on the role of parenting. I agree that it also plays a big role in children’s attitudes. But good parenting depends on good schools–if people are not taught thinking skills at schools, how could they become good–thinking–parents?